Saturday marks the one month countdown to Christmas, otherwise known as the beginning of the party season! In between manically buying presents for a new-ending list of friends and family, we get to celebrate all things Christmas with a copious amount of dinners, drinks, and work-dos. If, like most of us, you're feeling underprepared to take on this social season because you 'have nothing to wear', don't panic! The following four brands are all you need to look party-perfect, whatever the occasion. Warehouse is the one-stop destination for Christmas party dresses! Whether you want understated sequin chic for your work's do or chain-mail glam for late-night dancing with the girls, Warehouse can solve any party wear dilemma. This season Warehouse has such a wide and exciting array of textures to 'play' with including velvet, beading, and glitter. 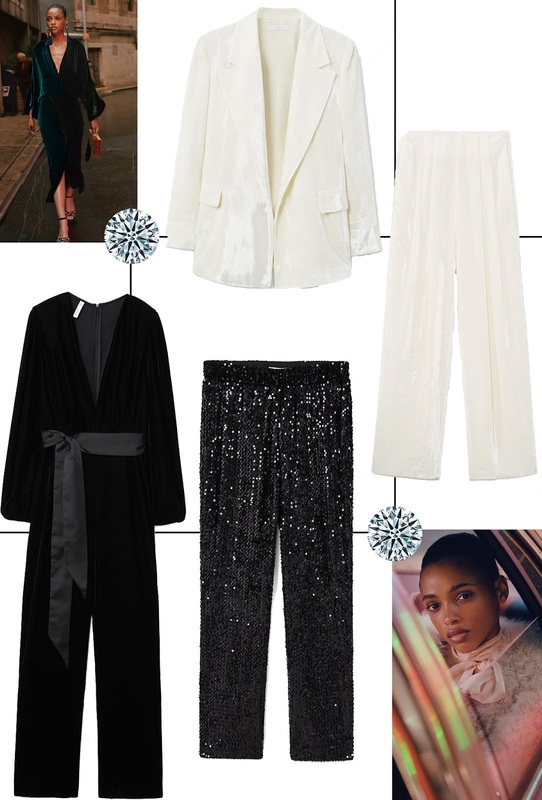 Oh, and to top it all off, Julia Roitfeld, the daughter of ex-Vogue editor Carine Roitfeld and certified fashionista, has created her own lust-worthy edit of Warehouse's party wear. It's time to get your dancing shoes on ladies! When browsing Topshop's party heels, you have the choice of two styles - classic or fun. The classic choice includes crushed velvet court shoes featuring buckles or embellished with diamonds. Alternatively, the fun option is a mixture of pom poms, feathers, and rainbow sequins. But why should you have to choose? With a full social calendar, you'll have enough time to wear both styles. Mango provides the perfect alternative if the thought of wearing a dress this season feels you with dread. Mango's offering of tailoring consists of luxurious velvet suits, oriental-inspired jumpsuits and attention-grabbing sequin trousers. Tailored pieces are great for mix-and-matching which ensures you'll never been seen in the same outfit twice! 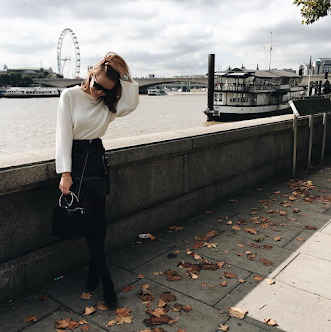 I know I'm guilty of overlooking jewellery when it comes to outfit planning, but the impact a piece of 'bling' has should never be underestimated. The best thing about this year's party season, thanks to the stratospheric revival of the 80s, is that the bigger, the shiner and the over-the-top the better! When it comes the Other Stories think diamonds, think gold, and think lots of it!